Mission Impossible is amongst the finest espionage thriller action movies from the dynamic and hugely respected Hollywood stable. 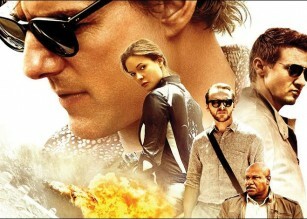 What more can a movie- goer expect out of a cinematic experience that has a spy of the caliber of Tom Cruise, crusading along with his tireless mercenaries out to either avenge for a monumental loss or to complete a seemingly impossible mission amidst huge tyranny, evil and spell bounding suspense? Cars, sizzling women, stunt bikes, high action sequences shot in the most nerve wrecking landscapes, daring stunts, impossible to comprehend story line till the very end, the Mission Impossible series have thrilled, cajoled, moved, inspired and given much more than was expected in the two decades of magnanimous movie going experience that have churned out 5 commercially successful and critically accepted blockbusters. Tom Cruise with his age defying acts of thrill is soon going to to smash up your screens in a movie space that takes the Hollywood superstar up against an ally of agents gone rogue in the fifth installment of the dramatic and eagerly watched Mission Impossible series: Mission Impossible Rogue Nation. 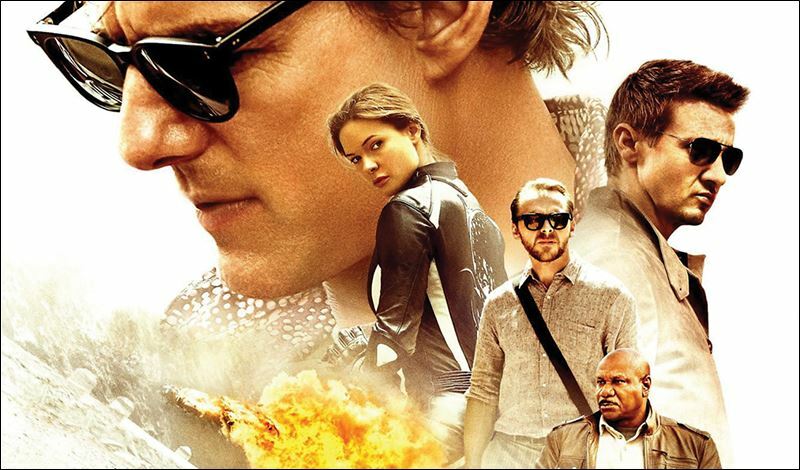 Directed by Christopher McQuarrie and living up to over 2 hours of eagerly anticipated action pack sequences, MI 5 promises more surprises, powerful acting, unimaginable action sequences and more as the famous Ethan Hunt reprises his role as the leading spy of the Impossible Mission Force. It seems Tom Cruise isn’t after all a huge believer in gravity. Often seen committing the most audacious stunts for his films, most of which the star undertakes personally, Cruise’s rising legend and never ending fanfare owes much of its triumphant reach to his spectacular action sequences, that he relentlessly commits to the last point in a painfully correct tedium. While doing multiple takes of the ever famous bullet train action sequence in the first part of the M.I. 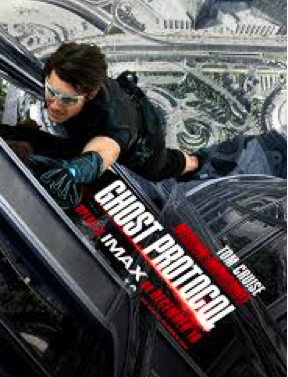 series saw Tom sitting atop the pulsating pace of the bullet train, in Ghost Protocol he literally conquered the Burj Khalifa by climbing it to the very top in a death defying spectacle. 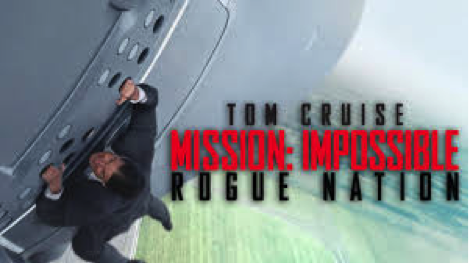 Despite doing 4 hugely successful movies from the Mission Impossible factory, it seems Cruise is still keen on discovering the truly stretchable sight of the impossible as he takes to the fight against a mighty military aviator in Rogue Nation. 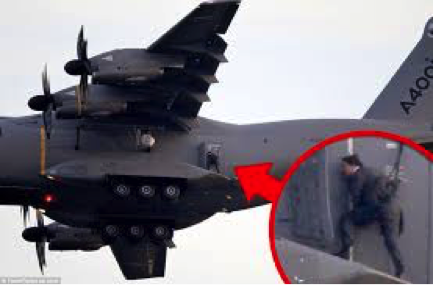 The action star of the hugely successful spy series will be seen climbing up the Airbus A400 M Atlas Military Transporter aircraft in the latest movie. He is seen making his way to the top of the aircraft as it cruises past 250 mph on the speed chart. Daring, devilishly clever and stylishly thrilling, Mission Impossible 5 will see Cruise go where none other have ventured: into the hall-pass of perhaps the most extraordinary action sequence ever conceived. And let’s not forget, Tom is only 52 years young as he successfully attempted this master-stroke. Star of numerable comedies, romantic dramas and period films, Alec Baldwin’s creative repertoire has grown from playing simple roles to well drafted character narrations on the big screen. 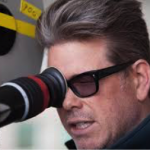 Not many would have imagined the 57 year old star from the Nuremberg Trial to enter the show stealing limelight of the Mission Impossible series. In the fifth installment, Baldwin is set to star as the head of the CIA overseeing Ethan Hunt’s daring mission where he is teamed up against rogue assassins. Stylishly slick and amazingly clam, Baldwin’s on screen presence is often known to resemble his personal dash of style. 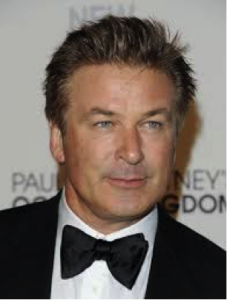 The viewer may just get to witness the sensational cocktail between an engaging drama, Baldwin’s suave act and Cruise’ high voltage action in the new mission impossible movie. A Swedish beauty, sizzling to the core of your heart’s beat and moving to swaying music captivating to the very core, Furguson is set to race hearts and tame Cruise’s Hunt on the silver screen in what could possibly be a golden chemistry bookmarked for awe in the fast paced action thriller. The 31 year old is only 2 decades junior to Cruise but the timeless actor and his subtle charms are set to work their magic as Ethan’s character may very well tumble between the daft beauty’s sultry appeal and the impending challenge that awaits the master spy in the 5th edition from the Mission Impossible stable. There are fewer sights in cinema’s lofty world that entertain and inspire awe as that of Tom Cruise on his way to a jet setting bike ride. 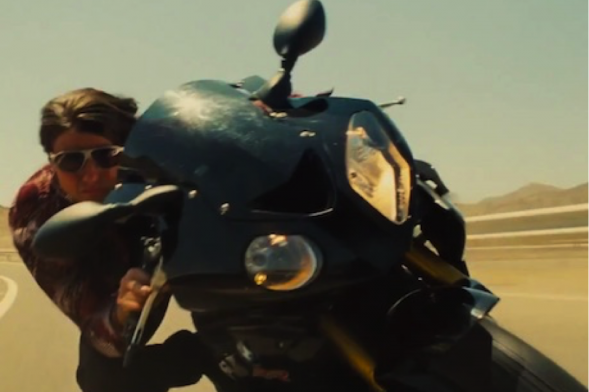 In Mission Impossible Rogue nation, Tom Cruise is slated to ride a BMW S 1000 RR Sportsbike in a spectacular bike chase sequence that is sure to move the viewer to the literal edge of the seat. As Cruise is seen cruising on the Beemer sportsbike, his chasers will quill in anticipation whether they can get achingly close to their nemesis in an adrenaline spiked sequence that is slated to be viewed without batting an eyelid. There are few actors out there who seem to be ever willing to risk their own lives in order to get the perfect unimaginable action sequence shot in pure ecstatic daredevilry. 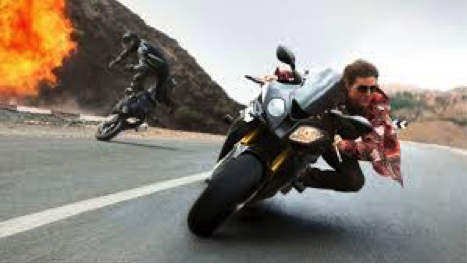 Thomas Cruise Mapother seems ever withdrawn from the world where risk taking doesn’t exist and seems hell bent on stamping his authority once again against a pacey action sequence when he will don the supremely fast sportsbike. 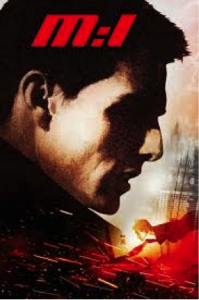 In almost all previous editions of the exciting action series, Tom Cruise’s Ethan Hunt has clearly been armed with a bevy of talent, technology and weapon based resources in order to counter the enemy. However, in Mission Impossible Rogue Nation- Ethan Hunt has mostly Benji as his on field tech expert companion whilst he treads a difficult and daunting terrain against a lethal enemy force that comprises of many in a perverse hit unit squad, driven to exterminate the super secret spy. With a captivating storyline, this could well be the action movie that is most eagerly awaited in 2015. Action packed and racy, a stark contrast to the very first outlet from the spy stable, this is going to be a nerve wrecking thriller. Unlike the hell-unleashing radical villains of the past MI movies, that were usually in combined might nearly as good as their anti-thesis, Agent Ethan Hunt, Rogue Nation makes us come to face an enemy previously not encountered and completely unexpected, both in technical prowess and physical strength and mind numbing capacity: The Syndicate. This isn’t a singular evil force but a coterie of evil minds driven to unleash hell through terrorist motives. It will be exciting to see whether Hunt will be able to finally hunt them down or will he go down fighting. 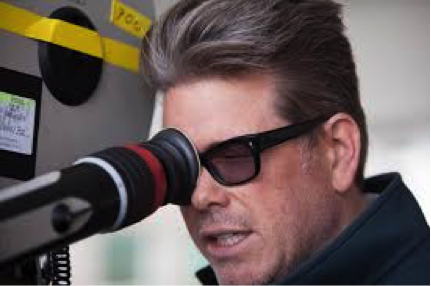 Known for his creative exploits through exciting action ventures in the form of Jack Reacher, The Usual Suspects and The Edge of Tomorrow, this is the first time that the ace director McQuarrie is delivering an espionage thriller, a genre he previously hasn’t attempted and stayed away from. Though he has a sterling star cast in the form of Tom Cruise himself donning the ruthless spy operative’s role, it will be evident only upon the movie’s release whether the hugely talented man from New Jersey has delivered on a solid script or not. The highly successful movie series from the beginning of the mid nineties has gone on to make a name for itself in an evergreen action blockbuster list that may well feature other top action flicks such as Enter the Dragon, Bloodsport, True Lies, Police Story and the not so distant in sight: Bond series. But with 5 different, divergent, independently directed action blockbusters, time have come on to put the MI series under a carton that reads finished. After dangling Tom Cruise’s Ethan Hunt upside down in a rollicking ride at Langely in MI 1 to taking Hunt to the charming conundrums of Spain where he encounters Nyah- Nordoff Hall’s highly trained civilian thief character as portrayed by Thandie Newton, the Mission Impossible further upscaled the weight of expectations from the fan by taking Cruise to Shanghai where he eloped with the Rabit’s foot after scaling many daunting peaks in China. 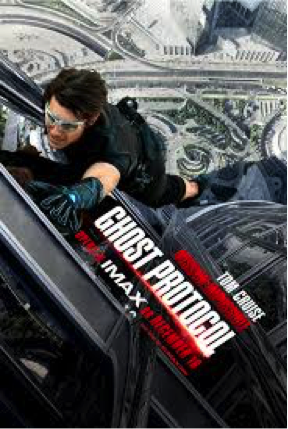 Where he conquered the alluring charms of Paula Patton and the seemingly insurmountable task of climbing Burj Khalifa’s sky kissing peak in MI : Ghost Protocol, Rogue Nation will transcend the viewers into a never seen before action spectacle that only an actor of Tom Cruise’ belligerence, daring and courage could do. After doing so much and so effortlessly, time may have come to put the sizzling spy thriller series to an end. If not, there is always a new mission that agent Hunt would sheepishly embark upon.